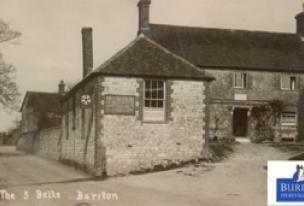 What do you know about life in Buriton in years gone by? Or about the local wildlife or natural history? Do you have some information that might be of interest to others? The Buriton Heritage Bank is a special project which is finding out as much as possible about the history of life in and around Buriton. A number of beautifully illustrated books about the parish have now been published - including hundreds of wonderful old photographs from the collection that has been found during the project. If you know of anybody who might have any information or be able to help in any way, please contact Doug Jones on 01730 231326 or email doug.pam@btinternet.com. our natural history - local birds, flowers, fungi and nature reserves. The 2018 annual Exhibition was held on Saturday 29th September and details of the 2019 event will be posted here. During the course of 2018, in connection with the 100th anniversary of the Armistice of the First World War, there have been a number of talks presenting findings from new local research and details are available elsewhere on this website. Our project to find out more about the impacts of the four-year conflict on life at home in Buriton – and to find out what happened to men from the parish who took part in the war – is now drawing to a close. Our research has been looking at as many sources as possible and findings have been summarised, season by season, in the Parish Magazine, covering the activities and events of 100 years ago – as seen through local eyes. Expanded versions of the Parish Magazine articles are being drawn together, with scores of images and illustrations, to produce an attractive booklet which will be available free of charge to parishioners and contributors. Our findings so far are also available via the Heritage Bank's website: http://buriton.org.uk/projects/buriton-at-war/ Almost inevitably, we cannot be absolutely certain about the exact location of any of the men from the parish on the battlefields at any specific time, but our research is based on as many sources of data as possible. If we have made any errors we apologise and we are always grateful to receive amendments and additional information.